How do economic systems connect us to our ancestors and descendants? Our historic understandings of our responsibilities to the future have guided our economic lives through a variety of paradigms. And, historically, a future orientation was connected to teleological commitments to prioritize production over consumption. Our history, together with our actions today, determine our future. But the Consumption paradigm teaches us to live in a shallow, irresponsible Eternal Now—that a penny saved is a penny wasted, and in the long run we’re all dead. Keynes, John Maynard. 1963, “Economic Possibilities for Our Grandchildren,” Scanned by Yale University Economics Department from John Maynard Keynes, Essays in Persuasion, Norton, 358–373. 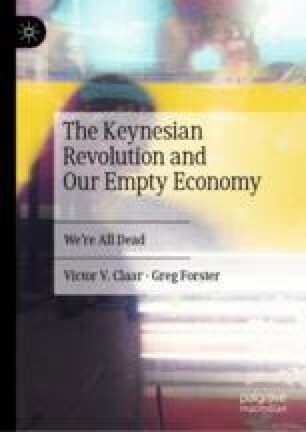 http://www.econ.yale.edu/smith/econ116a/keynes1.pdf. Accessed 23 Jan 2019.